How much is Bruton Smith Worth? Bruton Smith net worth: Bruton Smith is an American racing promoter and race track owner who has a net worth of $1 billion. 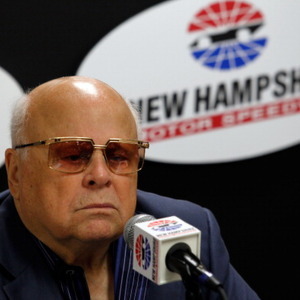 Bruton Smith was born in Oakboro, North Carolina in March 1927. He is the promoter and owner as well as CEO of the NASCAR track Speedway Motorsports, Inc. Smith was inducted into the NASCAR Hall of Fame in 2016 after being inducted into the International Motorsports Hall of Fame in 2007. He was named the oldest CEO of the Fortune 500 in 2012 by CNN Money. Bruton Smith purchased his first race car at 17 years old and at 18 he began promoting stock car events. He took over the National Stock Car Racing Association in 1949 and the built Charlotte Motor Speedway for $1.5 million in 1959. Smith has also been inducted into the North Carolina Business Hall of Fame. He founded a group of 100 car dealerships in the U.S. called Sonic Automotive.